With Fivetran, the company saves many working hours per report. It now generates multiple automatic reports a week, compared to one manual report before Fivetran. The business was able to add Europe to its theme park and resort reporting regions and will soon add Europe to its cruise line reporting regions — all without adding staff. Improved data quality and created a data-driven culture across the organisation. One of the world’s largest media and entertainment companies, our customer boasts a portfolio of parks and resorts, cruise lines, consumer products, and studio entertainment. While the London office currently focuses on the UK and Ireland markets, it plans on expanding into the wider EU market soon. The department’s Web Analytics Manager is responsible for providing the marketing team with quick and accurate digital marketing and ecommerce insights to ensure effective marketing efforts. Until recently, however, the company’s “undeveloped data strategy” made pulling reports and merging data time-consuming and error-prone. Before settling on a fully managed ETL solution from Fivetran, the Web Analytics Manager had to assign an analyst to manually siphon data from Google Analytics and other applications into Microsoft Excel. Sometimes data was copied and pasted inaccurately, or Excel would crash, resulting in delayed or unreliable reports. “There were so many pitfalls, the biggest being that it was a waste of time," the manager says. “Analysts should not be spending their time that way. Their value is in deriving the insights, not performing ETL." Being part of a small analytics team in London, the Web Analytics Manager knew that while he needed his data centralised, he didn't have time to learn how to build and maintain his own API connections. 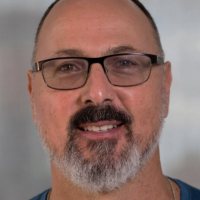 "It seemed rather daunting to try to learn how to build API connections while continuing my day job, so I looked at third-party services to move data to our SQL database," he recalls. He tried a competitor product, but the connectors didn't ingest the full data and routinely failed, making the tool virtually useless. When he went looking for an alternative solution, he found that Fivetran was less complicated to set up and maintain, and more affordable, than competitor products. He also appreciated the responsive support team at Fivetran, which worked to make improvements and fix any hiccups right away. The Google Analytics data pipeline, fully managed by Fivetran, has added significant value to the company by freeing up time previously spent on moving and transforming data and creating reports. "It's easy to use, especially for someone with limited, technical experience," the Web Analytics Manager says. "I have a strong background in analytics, not writing or managing APIs. With Fivetran, I don't have to worry about that. It’s reliable and you get the data you need without having to worry about all of the nuts and bolts." The influence of centralised data extends beyond the Data Analytics team to other parts of the organisation as well. “Our marketing team can access the data without being Google Analytics experts,” he says. “With the reports at their fingertips, the team is becoming more data-savvy. They can drill into information much more easily." Want to see the impact that a fully managed ETL solution from Fivetran can have on your organisation? Our team is happy to provide you with a demo of our service, or you can get started with a free trial here. About Fivetran: Our standardised technology delivers data into your warehouse the right way. Shaped by the real-world needs of data analysts, Fivetran technology supports agile analytics, enabling data-backed decisions across organisations. We’re focused, transparent and trusted by businesses that run on data. After a five-minute setup, Fivetran replicates all your applications, databases, events and files into a high-performance data warehouse. Our standardised cloud pipelines are fully managed and zero-maintenance. About SQL Server: Microsoft's SQL Server is a powerful enterprise relational database. About Microsoft Power BI: Microsoft Power BI is a business analytics solution that enables users to visualise data and generate and share insights.